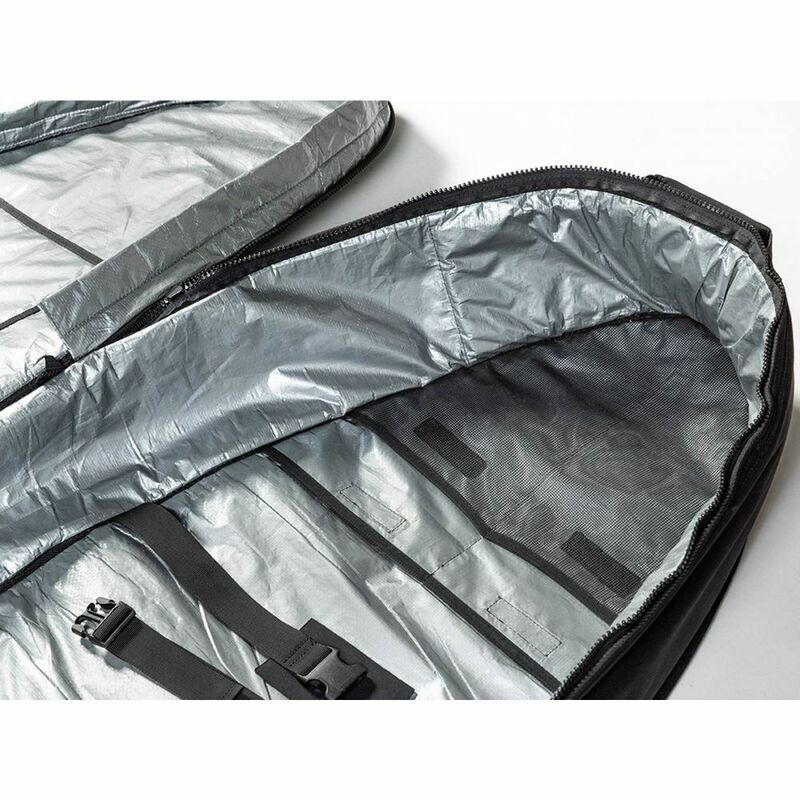 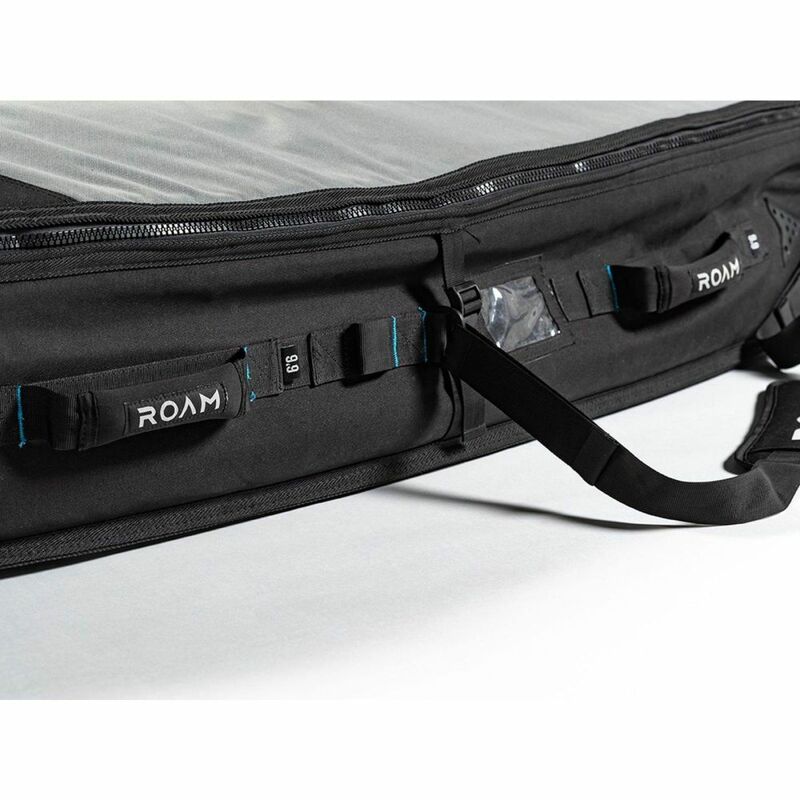 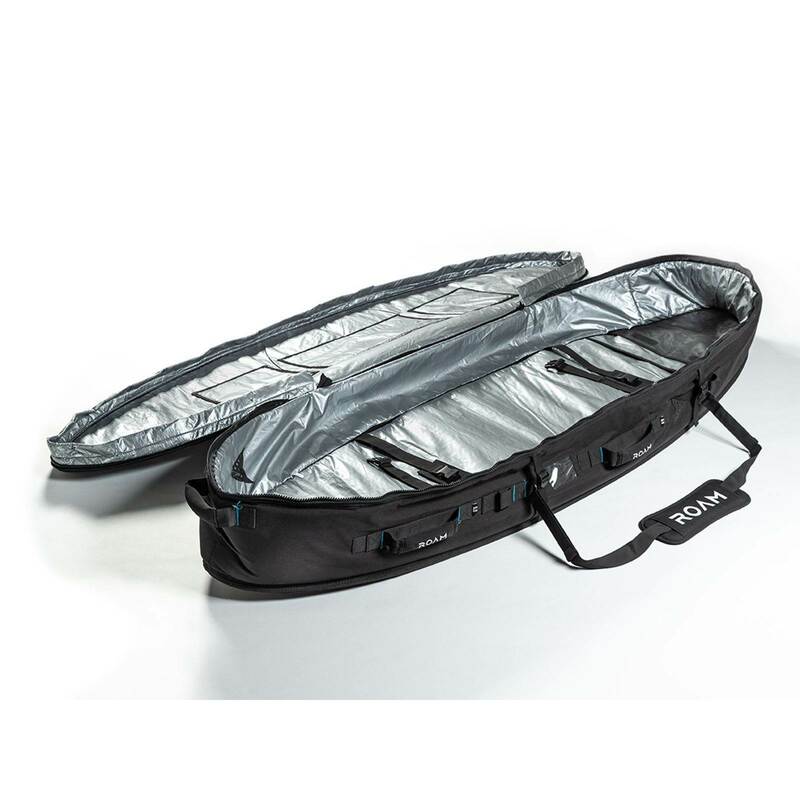 Robust 10mm padded board bag for 2-3 surfboards, ideal for air travel. 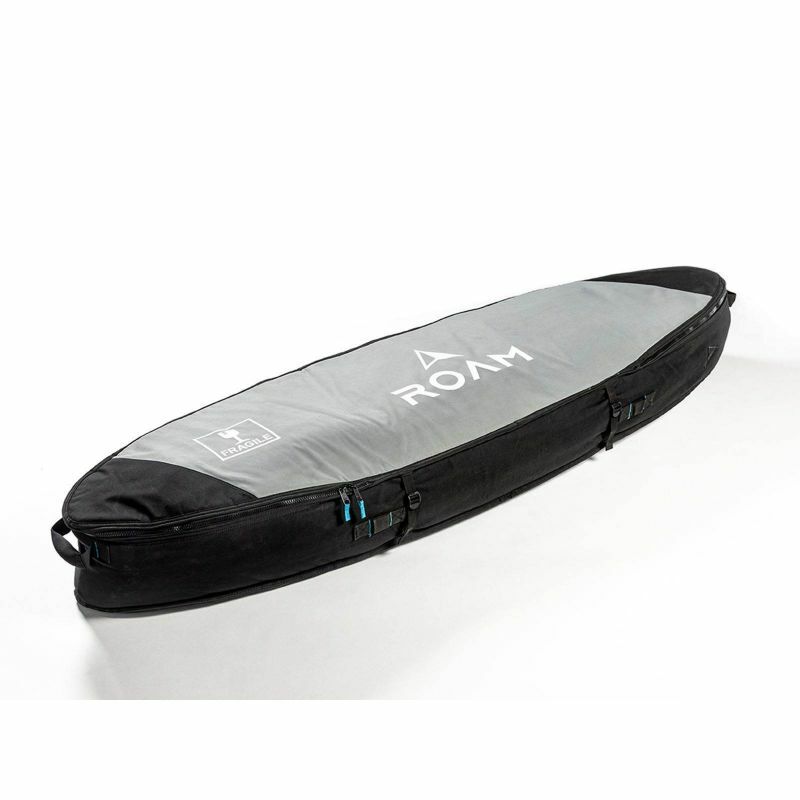 10mm padded with Silver Reflective Shield Polytarp Shell and sturdy 600 gram nylon on the sidewalls. 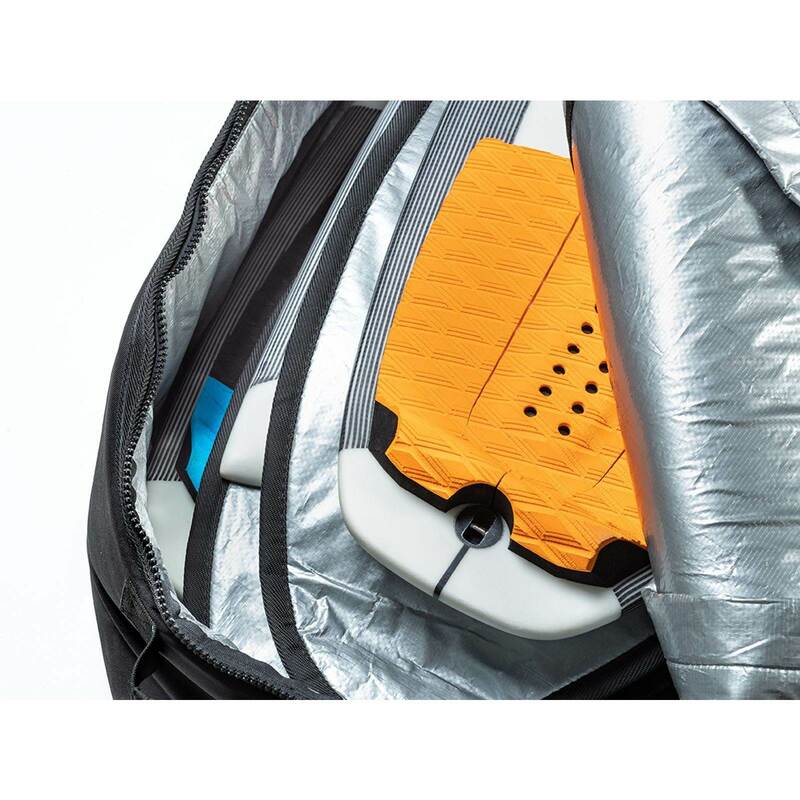 Whether traveling by car, train, plane, this heavy duty bag protects your board when it should be tough during transport.